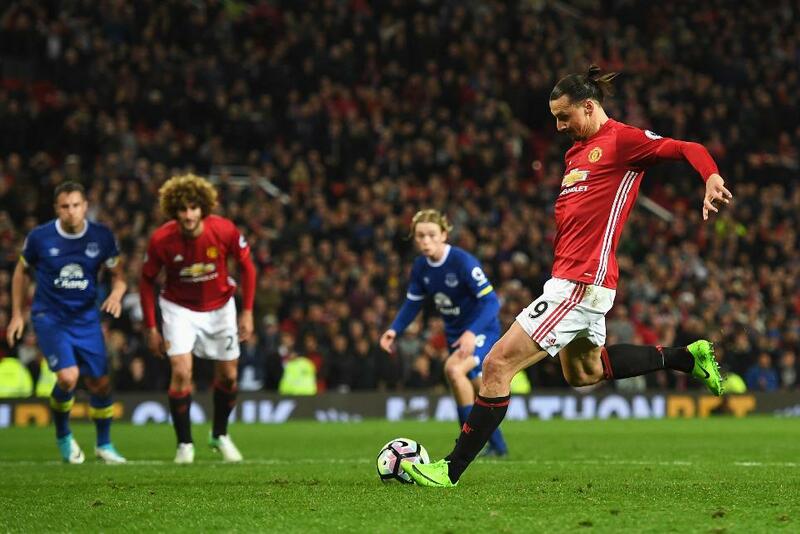 A last-gasp penalty by Zlatan Ibrahimovic rescued a point for Manchester United against Everton. The visitors took the lead from a corner, when Ashley Williams’s header was turned in on 22 minutes by a clever back-flick from Phil Jagielka. Ander Herrera and Paul Pogba struck the woodwork either side of half-time as Jose Mourinho’s men sought an equaliser. Ibrahimovic latched on to Ander Herrera’s ball over the top, but his header was ruled out for offside. Everton held on until four minutes into stoppage time, when Williams handled in the area, earning himself a sending-off, and Ibrahimovic converted his 16th Premier League strike of the campaign. United remain in fifth in the standings, while Ronald Koeman’s men stay three points back in seventh.